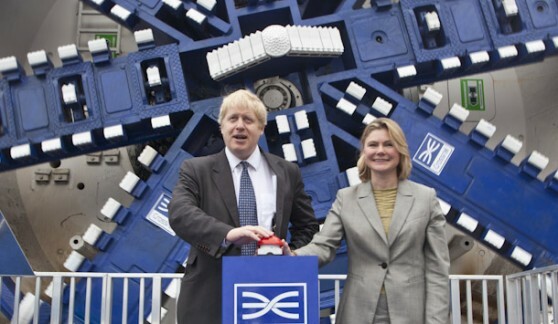 The Mayor of London and the UK Secretary of State for Transport today revealed the first of the eight giant 1,000 tonne TBMs that will carve Crossrail’s 21km of twin tube tunnels under the capital. The TBM will today begin its journey to the Royal Oak Portal in west London from where, next week, it will start tunnelling 6.4km east to Farringdon via Bond Street and Tottenham Court Road. The TBM will now be placed on self-propelled mobile trailer and moved to Royal Oak Portal, around 400m from its current location at Westbourne Park. Once the first machine has progressed sufficiently, the second TBM to be used on this western section will then be launched from Royal Oak. When the second TBM has reached Paddington, both machines will then progress forward through the Paddington station box to Bond Street and then onwards to Farringdon. Later this year, a second pair of machines will launch from Limmo in Docklands driving 8.3km west towards Farringdon via Whitechapel and Liverpool Street. In the winter, two more TBMs will be launched from Plumstead travelling 2.6km and under the River Thames to North Woolwich. 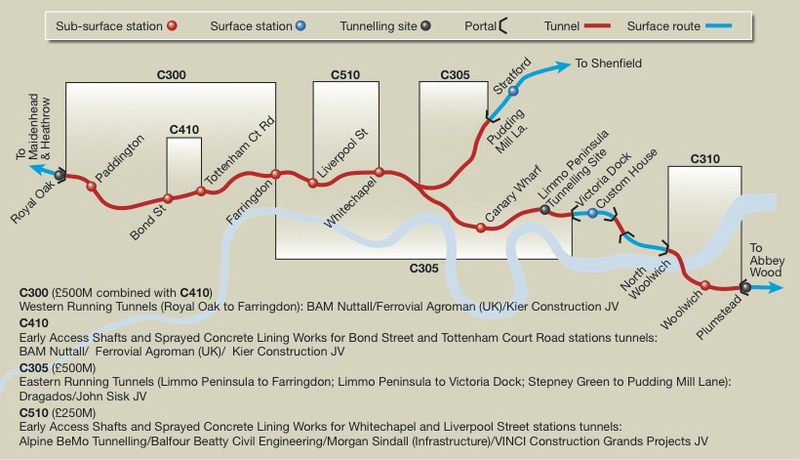 Joint Venture partners BAM Nuttall, Ferrovial Agroman and Kier Construction (BFK) were awarded the US$782M western tunnels contract to construct the tunnels between Royal Oak and Farringdon in December 2010.